Oh goodness, it’s so hard to believe we are in the last days of March, with tomorrow being the end! Somewhere around here, Spring may show up! With sleet/ice this am, I’m not sure sure when! With the end of March, the first Seasonal Expression comes to an end. All products in it with a time clock by the item number will be retiring. I have enjoyed working with both Heartstrings and Hopscotch (which is my fav)! We have created lots of fun pages, cards, and paper craft items from both. You don’t want to miss out on getting either. Heartstrings is good for so many different events – anything you love – pets, family, babies, ect! I’ve used Hopscotch for all things outside – the beach, hiking, being outside in the yard! You have to love how versatile both paper kits are so you can use it all up! It’s also the last two days to join in the fun and become a part of the team!! If you do it today or tomorrow, you’ll get the shoulder tote for FREE!!! If you place a $300 order within 40 days of joining, you’ll get the rolling tote for FREE (value $149.95)!! I love both of the new kits for people signing up right now. They have some many goodies in there for $99.00 (Value of $350)!! You can choose between two different kits – one for the cardmaker/paper crafter and the other for the scrapbooker/memory keeper. Don’t miss out and join the fun today!! To recreate this card use Artfully Sent, page 17, Scene, both parts. I used Design Space to make the card 5.5″ x 4.25″ (you’ll need to unlock the sizing to do this). I used Pacifica cardstock and White Daisy. Use the splice function in Design Space, I cut out the stem and flower so I could layer them. I used the 2nd border from the right to create the body of the caterpillar (this was inspired by another awesome consultant, Karen Pederson). I free-handed the rest of the caterpillar. Colored him in with our Shin Han Touch markers and you have a super cute “Hungry Caterpillar”! I used the sayings “this day” and “choose happy”. Using a black fine tip journal pen, I doodled around the edge of the card. The stamp set is $17.95 or $5.00 with a $50.00 purchase (plus you get a set of free sequins from me that I’ll mail to you separately!). I loved making this Happy Birthday card for my neighbor’s girlfriend! It’s a challenge to create something someone else has in mind and hope what I come up, works! Since I love the beach, I keep all of my stamp sets that have anything to do with the beach/islands. So this card uses my stash of retired sets as well as some current sets. I was excited to create a card which reflects something I love to and reflects the sentiments that he wants to express as well! I used the Z3017 Cricut Artfully Sent to create the base for the popup card (I’ve actually created and saved the blank popup card base in both a standard (4.25″x 5.5″) and 5″x 7″ card for easy recall! Love Design Space and my Cricut Air) and Z1906 Cricut Artbooking Alphabet used on the front on the card to say “Happy Birthday”. I used paper tearing to create dimension and the illusion of surf. By alternating X5762 Lagoon cardstock and Seaside background and texture paper to create waves coming in for the ocean. I cut a piece of 1273 Desert Sand for the sand then used our Z1294 Sanding Kit to give it texture to look like sand. I took a punch and created footprints in the sand walking towards the surfboards and beach chair/umbrella. I sponged the top of the footsteps to give them some shading so it would look like what footsteps look like when you walk through the sand. I used a system font for doing the handwriting on the inside of the card through Design Space (have I told you how much I LOVE Design Space???). Anyway a few trials and errors with that due to having to cut the base of the card as well as write on it but we got it done! I really liked the way it all came together. The inside saying stamped on the sky is D1653 Happy Everything, to be released on April 1, 2014 (Seasonal Expressions 2). It’s not blinged out or fancy as this is not her style. It does reflect their love of the beach, surfing, being together and being outside while celebrating her birthday. It did what I love to do – help people celebrate relationships. My neighbor was thrilled and I hope it will. When I saw Freshly Made Sketches #178, I knew that I had the best stamp sets to use for it. I needed to make a swap card for the Seasonal Expressions 2 (aka SE2 to be released April 1, 2015 to customers) which is due in 2 weeks! So super excited to get inspiration from this challenge so I can knock this card set out. Happiness is “A Little Magic”! Anyway, I’ve been making several cards with A1170 – Doodle Design, a stamp set from the SE1! (Reminder – SE1 retires nine days so you are down to the last chance to get these awesome papers packs and embellishments.) I love using the doodled circle to go around other stamps. Doodle Design goes well with the “magic” saying from D1648 – Snapshot Memories which is in the SE2 so you get a bit of a sneak peak as well! “Choose Happy” is the March Stamp of the Month. Once I saw just how darn cute it is because you can make “Hungry Caterpillars” with it, I’m addicted to using it. I’m just having a great time creating these caterpillar cards for my preschool friends. I’m thinking of birthday cards, using the caterpillar, for my friends with babies/toddlers or anyone I give the “The Very Hungry Caterpillar” book by Eric Carle to. Using the Art Philosophy Cricut Cartridge, I cut this card and backed the cut outs with different colors (Topiary and Thistle). Everyone has a scrap container and using your scraps to go behind the cutout images is a great way to use them. I did cut a back panel to cover up my paper piecing so the card looks neat when it’s opened. I used the border stamp (2nd from the right) to create the body of the caterpillar. I drew triangles for the legs and drew his head. Color him in with our Touch markers! Too simple and too cute!! Then I took the journalling pen and doodled around the edges. I stamped “this day” and “you’re special” on it for the sentiments. The card was easy to make and even better, I can save the file in Design Space! 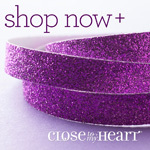 Get your “Choose Happy – S1503” for $17.95 or $5.00 with a $50.00 purchase. With the $50.00 purchase, you’ll also get a package of sequins for free that I’ll mail to you direct! Win-Win! Here’s a sneak peak of some of the new papers and stamps which are coming out in the Seasonal Expressions 2, released live on April 1, 2015. Oh, playing with new product is just SO MUCH FUN! I’m loving the paper design and colors to celebrate Spring (which I’m really ready for with the threat of more winter weather in our area on Friday). The paper works well with our flower cuts on both the Art Philosophy and Artiste cartridges. I have a new stamp set swap coming due and and I saw the Monday Mojo sketch and knew immediately that it would work for one of the stamp sets I am doing! I stamped the center of the flower with chocolate ink and added pink Stickles for bling. I used the same Stickles on the “Hello Friend Wreath”. Super fun, super easy to make card! Will be adding this to the Spring Come and Play Card Buffet!! Want your own sneak peak? Now is the time to join my team. The new consultant kits feature new products to be released on April 1, 2015! Better yet, you get a wonderful value of $380+ of product during March (ends on March 31, 2015) because you get the kit ($360) and a FREE shoulder tote ($20+) for $99.00! This is an amazing deal. You can choose the “Card Maker’s Kit” or the “Scrapbooker’s Kit”. Free when you sign up in April 2015 while supplies last!! Plus with the “Recruiting on a Roll”, you can get your rolling tote (awesomeness) for FREE (value $150.00) when you place your first $300 worth of orders in your first 40 days with the company!! I wish I had the chance to earn a rolling tote for free! It’s so big, we can zip my daughter up in it! So join our team and come play with us. It’s not the best picture from my phone. It’s super easy to make in Design Space (for the Explorer and Air). I used the sentiment’s stamp set from the Artfully Sent collection. I used our wonderful glitter paper which cuts well in the Circut! I love the March Stamp of the Month (SOM) S1503 “Choose Happy”. I chose to focus on having an “attitude of gratitude” for 2015 – being thankful for all I have. A byproduct of this choice is being happy. In a way, my goal for 2015, is being happy. While I love all the traditional possibilities for this stamp set, I was inspired by Karen Pederson (a fellow CTMH consultant) and her take on this stamp set. 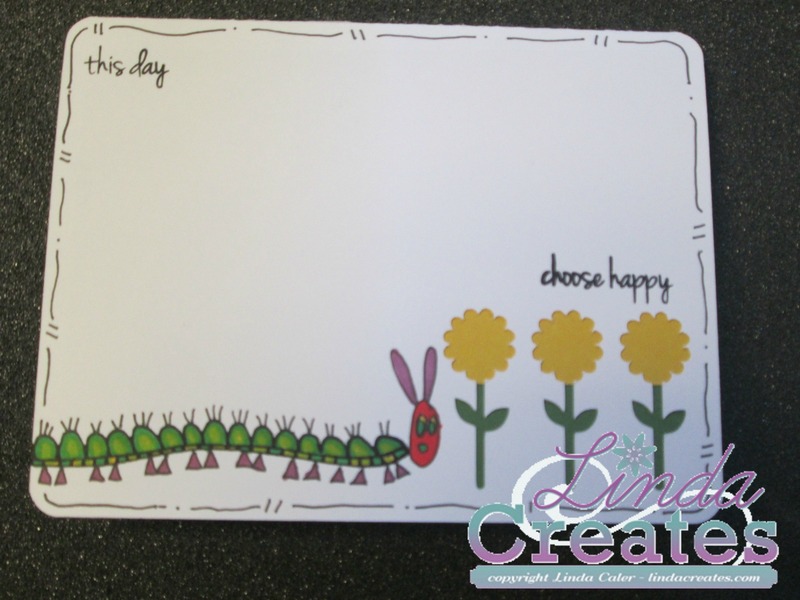 She created a card featuring using one of the border stamps as the base of a caterpillar! Free hand the rest and “The Hungry Caterpillar” by Eric Carle is born. I have so many friends who teach preschooler or work with them, I had to recreate this!! I hand drew his face face and legs. Used our Shin Han Touch Markers to color him in. I just love how they blend with each other!! I loved it so much, I created a few more. Check back and see later! You can purchase this set for $17.95 or with a $50.00 order, you can get this set for $5.00. A $50.00 will also get you a FREE set of sequins from moi! Don’t order them though! After you place your order, I’ll be mailing them to you!